Like most mums, hell, like most PEOPLE, my life is busy. I have two small kids at different life stages (a kindergartener and a one year old), a husband that works long hours, I study part-time online, and I’ve just started a new job. Returning to the workforce after a gap of a couple of years has forced me to be very clear on my priorities for my time. Everyone has the same number of hours in the day and nothing can be done to change that, no matter how hard we might try. Since I can’t add more hours into my day, I need to make better use of the hours I do have. 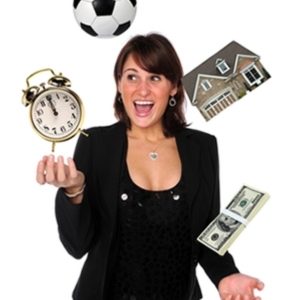 So what are my priorities and how can I make them happen in my new juggling act? Eating a diet that is predominantly plant based, with lots of fruit and vegetables and lean, high quality protein is important to me. I choose to make cooking good food for my family a priority, over say, having a pristinely tidy home. To ensure that there is a constant base supply of fresh produce to prepare meals from, I will be investigating home delivery services, particularly for fruit and vegetables. Recommendations welcome! It is important to both my husband and I that we continue to build and improve our physical fitness. We’ve had to sit down and agree on who gets which available timeslots. It means on some mornings I run in the door from training, he runs out the door with the kids to drop them off, then I eat, shower and rush off to work. Other nights he goes off to his martial art, I do everything with the kids and bedtime is a far more drawn out extravaganza than it is with two parents on deck. Ideal? Probably not, but it means that that we both get time to do the things that are important to us. As we get busier, it’s tempting to try to do more activities at the same time. I have been so guilty of this, and the tool that has allowed this to happen is my smartphone. I am that mum that is glancing sideways at the screen to check emails while playing Lego with her kid. Well, let me tell you, it is not a nice feeling when you realise that your kid knows that you are doing it and they feel ignored as a result. And does it make me any more productive than I would be by doing emails in a solid block at the end of the day? Not really. So I am committing to smartphone-free afternoons. From school pick up until bedtime, my phone is not to be touched. I will be present with my kids and freely give them the gift of my dedicated time and attention. It is important to them and it is important to me. In the busy modern world, are you actively deciding how to spend your time? Or is life racing by without a chance to make intentional choices? Tell me about how you are making time work for you!